Data Factory is a cloud-based data integration service that orchestrates and automates the movement and transformation of data. 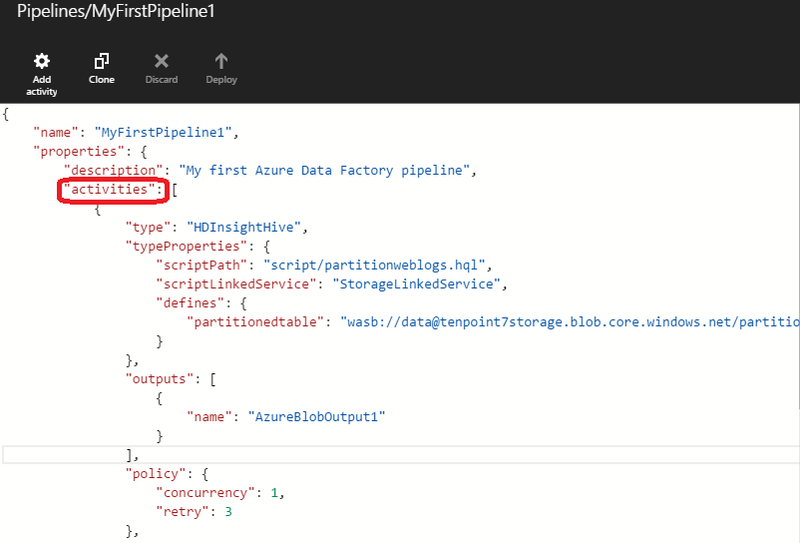 Azure Data Factory has a few key entities that work together to define the input and output data, processing events, and the schedule and resources required to execute the desired data flow. 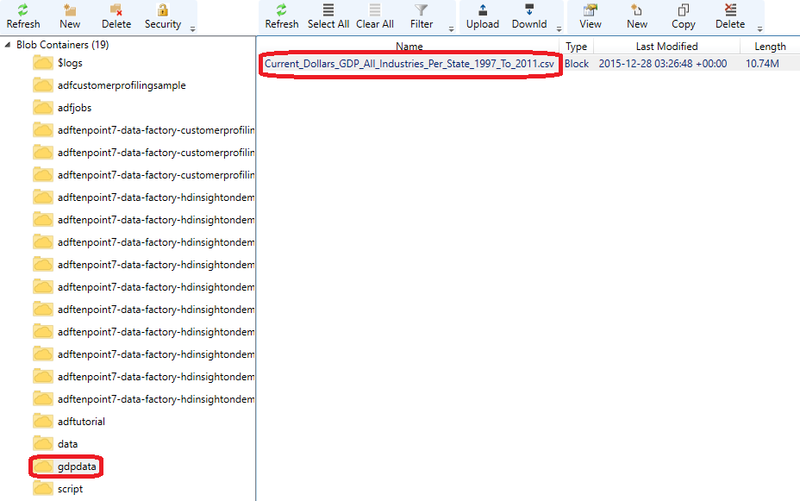 Linked Service defines the information needed for ADF to connect to external resources/data stores, it can simply be called connection information. ADF accesses data stores via information provided in the correspondent linked service. 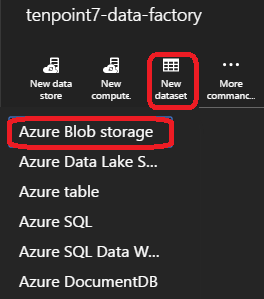 Data stores can be on the cloud such as Azure Blob, Azure table, Azure SQL Database, Azure DocumentDB, Azure SQL Data Warehouse or on-premise such as an SQL database. When creating a Linked Service for on-premise resources, Data Gateway is required to be implemented on the on-premise infrastructure. The gateway is an agent that enables hybrid data movement and processing. A Dataset is a named reference/pointer to the data we want to use as an input or output of an Activity, they have a variety of data structures depending on the data store including tables, files, folders, and documents. This is a SQL table dataset. 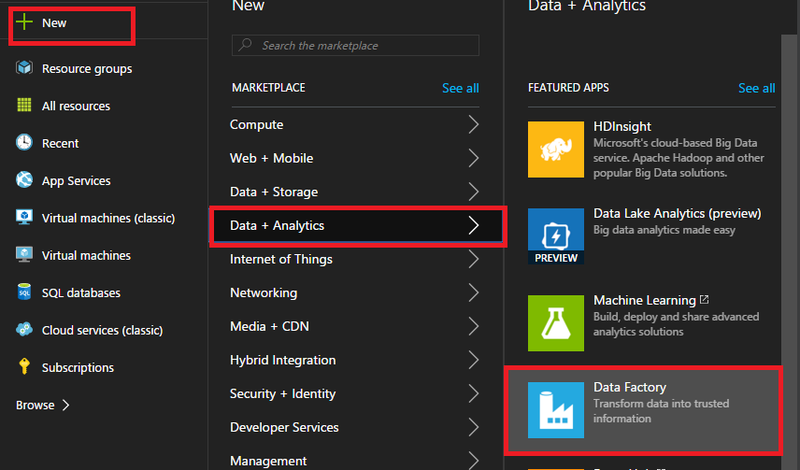 An Activity defines the actions to perform on the data, there are 2 kinds of actions: copy and transformation, for example, the Copy activity copies data from one source dataset to a sink dataset, a Hive activity runs a Hive query on Azure HDInsight cluster to transform or analyze the data. Each activity takes zero or more datasets as inputs and produces one or more datasets as outputs, which means that the output datasets are mandatory but the input datasets are not. This is an example of activity. An output dataset from an activity in a pipeline can be the input dataset to another activity in the same/different pipeline by defining dependencies among activities. Create a data factory (if not created). 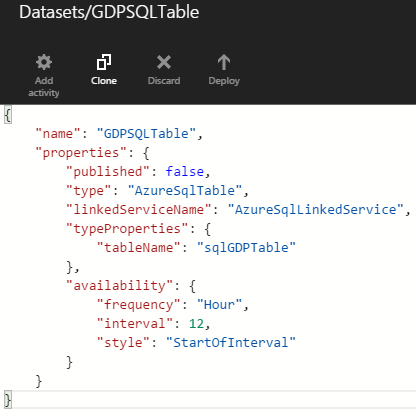 Create a linked service for each data store or compute. 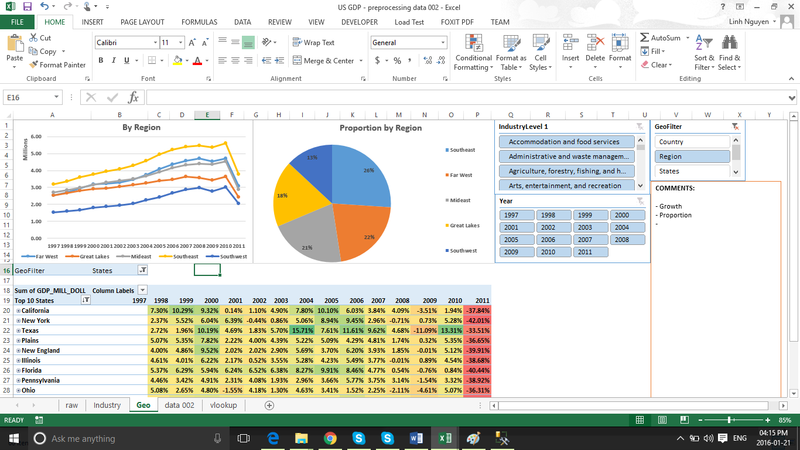 Create input and output dataset(s). Create a pipeline with activities which operate on the datasets defined above. 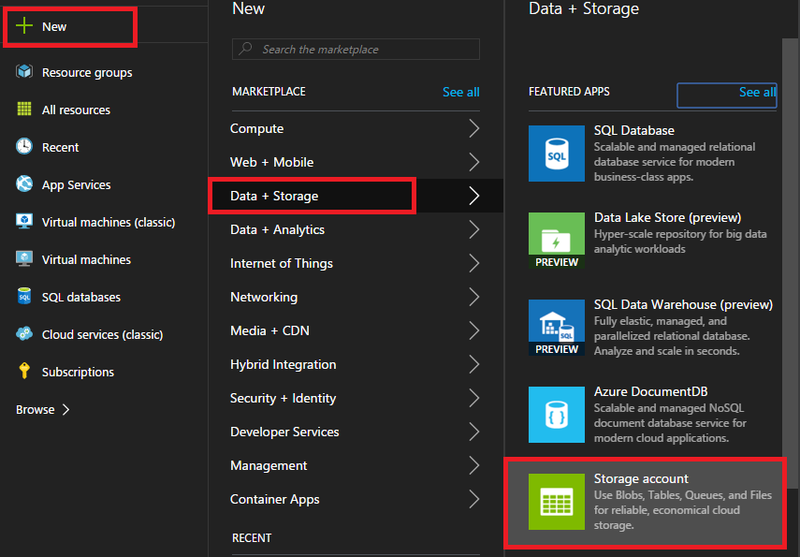 Create a storage account with “Resource Manager” instead of “Classic” deployment mode and “TenPoint7” Resource Group to provide cloud storage for Azure blobs, Azure tables, Azure queues, and Azure files. After the storage account has been created successfully, browse it to copy its key for the next step. Edit the preferred name and correct your storage account name with its key from the previous step. 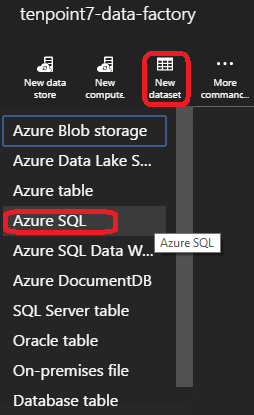 Now we will create Azure SQL database server and database for the target/sink storage/dataset, remember the Azure SQL Database credentials for accessing later. 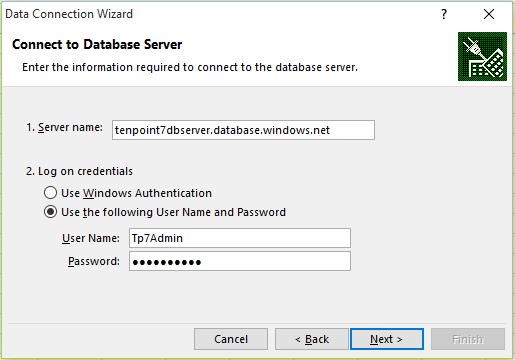 I created the “tenpoint7dbserver” Server and “TenPoint7DB” Database Name. After the “tenpoint7dbserver” is created, set the firewall to allow the current client IP (ADF IP) and the local IP to access this server, click Save when you are done. 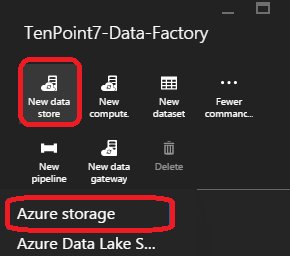 Launch the Azure Storage Explorer and click “Add Account” button to add the Azure Storage Account (created at step 2.2.a), then create “gdpdata” folder and upload the csv file to this folder. 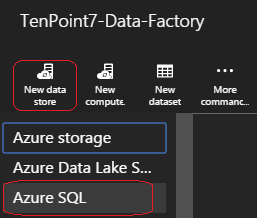 Return back to portal.azure.com, launch the “Author and Deploy” of the “tenpoint7-data-factory” Data Factory then click on “New dataset” to create a new “Azure blob storage” dataset named “GDPBlobtable” referring to gdpdata/Current_Dollars_GDP_All_Industries_Per_State_1997_To_2011.csv file. With this clean and simple data, the “Copy” action is used, however, with data required to be process, the “Transformation” actions should be used such as Hive, Pig, .NETcustomized actions. 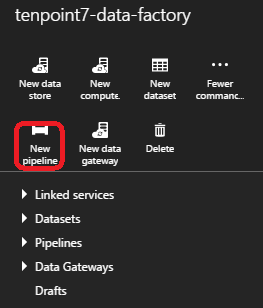 To view activities names and flows of a pipeline, right click on the pipeline then select “open pipeline”. 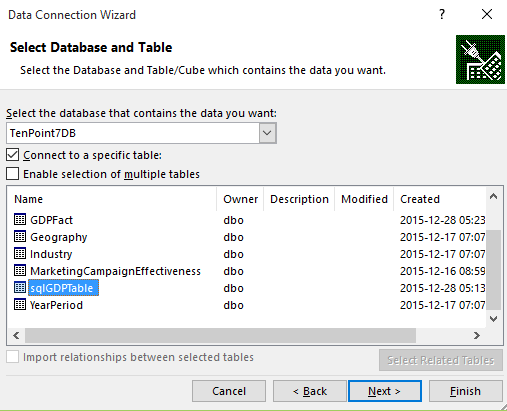 Run “EXEC dbo.GDPDatawarehouseProcess” against the Tenpoint7DB SQL Database to process data into dimension and fact tables. However, only the dbo.sqlGDPTable (denormalization table) is used for the report because of the performance purpose. 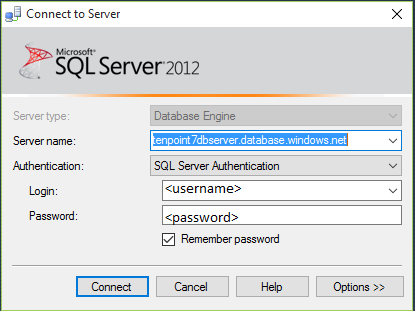 Select “sqlGDPTable” of “TenPoint7DB” Database then click Finish. Add a new sheet with Pivot table and chart for Geography filter condition, we can change the Geofilter value to observe the change of data and respective charts.